Talk about a KNOCKOUT!! 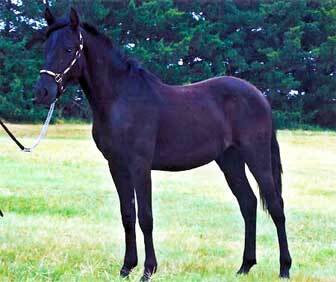 This beautiful black filly has it all; very nice head, gentle eye, small ears, and is puppy dog gentle. 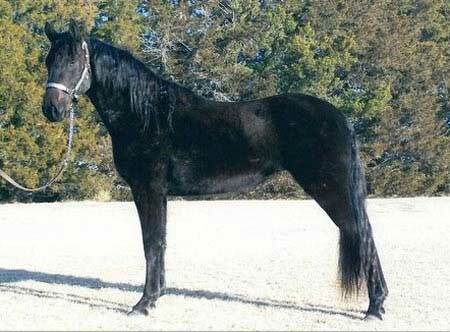 Her sire is RG Rimlo Prince Valiant, who is homozygous black, so she might be also. Should mature 15.0-15.1 hands. 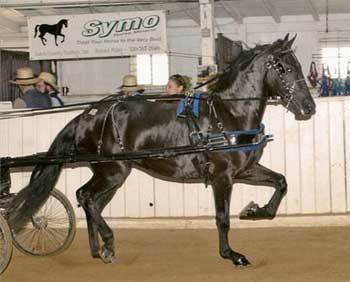 Was imprinted at birth, haltered the day she was born, handled daily, bathed, trailered, and current on shots.